We offer special pricing & volume discounts for Government, GPO, Healthy System, & Healthcare Facilities. Contact us for details. The NDS EndoVue 32 inch surgical display is for the medical professional seeking to maximize their capital investment and upgrade their aging surgical monitor, the EndoVue® series by NDSsi delivers the image performance of a high-end endoscopy display at a value price. The NDS EndoVue 90K0080 is a versatile surgical monitor, supporting multi-modality medical imaging requirements. It is plug-and-play compatible with endoscopic camera systems from leading manufacturers. 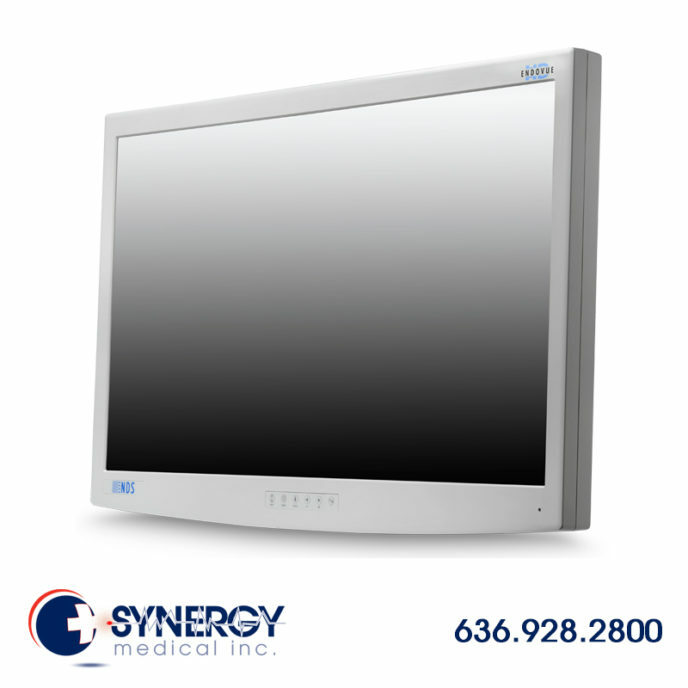 The 32 inch EndoVue surgical display is designed and built for medical use, it is FDA listed, TUV certified, and CE marked, offering patient safety, clinical performance, and durability compared to non-medical grade displays. The EndoVue surgical display by NDS Surgical Imaging accommodates standard analog and digital high-definition signals from a variety of medical imaging sources, including ultrasound, PACS, and patient monitor vital signs. It features a fanless cooling design to minimize the risk of spreading airborne contaminants within the sterile field, and industry-leading LED backlight technology for reduced power consumption.